A “smart” environment represents the concept of the environment that incorporates intelligent systems (e.g., smart home, smart factory, smart city, etc.) employing heterogeneous devices, such as: sensors, actuators, cameras, networks, and screens. 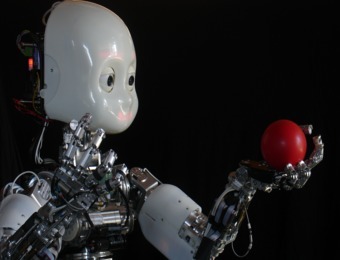 Within such a smart environment, robots can take on an important mediating role between human users and the environment if high-level cognitive functions and computational intelligence are employed to handle the uncertainty of the complex environment so as to allow agents to act appropriately within different contexts of interaction. Using robots in smart environments opens the door to several socio-cognitive applications, such as: reducing cognitive load for individuals interacting with a smart environment, assisting the elderly and people with cognitive disabilities in mobility and daily tasks (which requires robots to learn the multimodal characteristics of human behavior and to spatially perceive the environment containing other smart objects so as to decide the best way to employ/manipulate them in order to successfully perform tasks), and developing a cloud-connected robot system to incrementally share knowledge between robots in different smart environments about the behavioral characteristics of human users in order to interact with them adaptively. 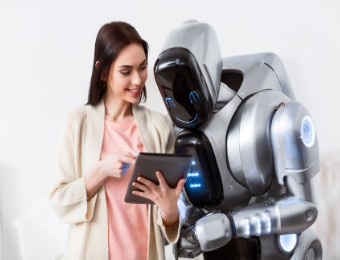 To meet the requirements of these target applications, robots need to be able to learn how to use the capabilities of their smart environments so as to better address the needs of the human co-inhabitants. 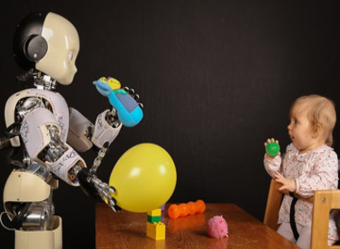 This workshop aims to shed light on the intersection between cognitive science, artificial intelligence, and robotics research both from the theoretical and technical perspectives covering basic research and applications. Recent advances and possible avenues for future research in the field of “smart” robotics are principal topics of discussion during the workshop. ** More than 50 participants are registered at our annual workshop in its second version – 2017. ** New: Our paper “Metrics and Benchmarks in Human-Robot Interaction: Recent Advances in Cognitive Robotics”, which covers the proceedings of the last workshop at Humanoids 2015 and summarizes the panel discussion, is now available [Link][PDF]. Copyright(c) Intelligent Social Robots Workshop. All Rights Reserved.